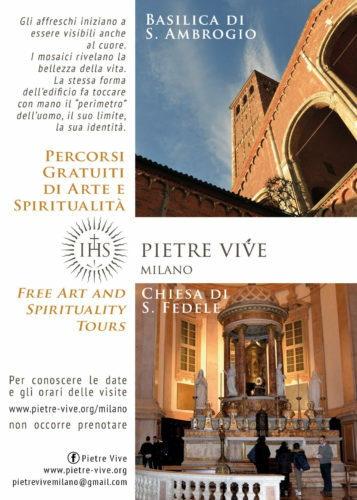 Following the great enthusiasm for the Living Stones experience which took place in Rome in 2012 in connection with European Taizé event, a group of young people from Milan Gathered together at San Fedele, Jesuit church in Milan, to see whether a similar activity and service might also be possible in the city of Milan. Many people say that Milan is a big centre for economy, fashion, design and financial services, but apart from a few exceptions, Milan’s artistic beauty is rarely pointed out. Although at first sight Milan does not seem to be a city of art, in actual fact it has many beautiful artistic sights to discover. 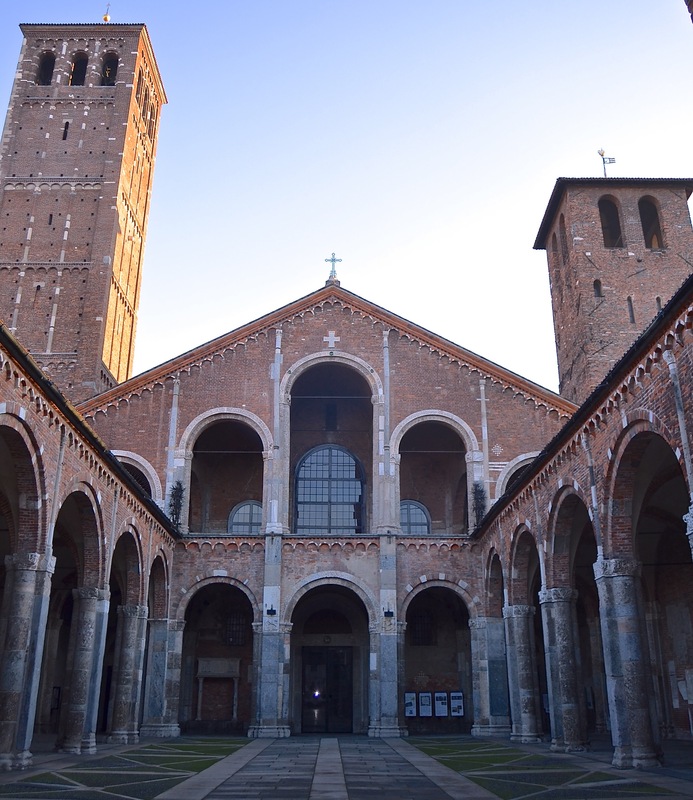 Consequently, various proposals were raised on where to start the Living Stones project and, after reflecting, we DECIDED that the Basilica of St. Ambrose would be the ideal place to do so, not only due to its artistic beauty but also for its value and the role it plays for Milan and its citizens (second only to the Cathedral), and close to the Catholic University (and its students). After having overcome some initial hesitations, we contacted the Basilica of St. Ambrose and, after having proposed the activity to them and verified the availability, we organized several meetings to learn more about the church both artistically and spiritually. On the one hand we learned about the life of Saint Ambrose and the preparation for catechumens, on the other we learned about the church from an artistic and architectonic perspective. After these meetings, the next step was to organize a spiritual retreat, not only for preparing our guided tours, but also in order to build a community that gathers to pray, to share and to witness its faith through the service. We hope that other people and friends of Living Stones will continue to join us during our activity, also those from nearby Living Stones groups such as that from Padua, all attracted by our enthusiasm and by the beauty of the Living Stones experience.